Get Latest Career Notification about Law Courses, by entering your details below. The students, who wish to get the admission in law, have to appear in CLAT 2019 (Common Law Admission Test). CLAT is conducted for admission to National Law Universities (NLUs) and various other institutions. Through CLAT, students are admitted in Integrated L.L.B and L.L.M courses. BCI provides “Certificate of Practice” to the candidates after completing LL.B. To practice in the profession of law and to receive certificate, it is mandatory for the candidates to qualify All India Bar Examination (AIBE 2019). Students who wish to pursue law courses from foreign Universities/institutions can apply for LSAT 2019. The admission in the Jindal Law Global School is done through the LSAT (Law School Admission Test) conducted by the Law School Admission Council, USA. For any queries about Law Courses, you may leave your comments below. We appreciate your zeal towards education. Yes, you may fulfill your dream by doing LLB but for that you should appear the entrance test like CLAT (as national level) or other university level exam. However, it is available through distance learning from IGNOU or BVP Deemed university or others. Some of the private law institutions offer seats in LLB programme on merit basis with handsome fee and without exam. If you will get the regular admission then you should have to quit from your job. Education and competition both are hard but career oriented. You should prepare for the CLAT as national level exam. Beside this some of the universities conducts their own examination while some of offer the admission on the basis of merit of 12th. But top law universities only offer the course through CLAT. Is there any coleege or university in india / punjab which conduct LLB in correspondence way …? Law is a good field, you can appear in law after your class 12th. can I study through 10th standed or should I have to complet +2 ? if I completed +2 what is the prosses to complet llb by studying at home? yes you can pursue law course. i m doing B.SC IT but i have to make my carrier in law but i m little bit confused that how much tym it will take for completing law and should i apply for CLAT after graduation?? yes you can pursue law, and go for specialization in cyber law since you’re from IT field. I am doing job in defence last 4yrs but i want to get law degree . you can pursue law through correspondence.. If this is approved by the BAR COUNCIL OF INDIA. Hi..any body can say certificate coarse details, eligibility n duration? now i am doing BE(CIVIL). can i do law after completing BE degree . but i want to do law in hindi . What all additional course can I do with my law degree.. If you have done UG course then no need to avail the BA again and you may directly go for LLB. Can you please tell .. which is the beat university for law in hyderabad..? My profession software engineer and I am bachelor of engineering graduate. I am planning to study law. Please let me know which course will suit me better. First you will have to be part of LLB and this module will cover all law aspects. When you will be in LLM then you will have to choose the course. I am completed diploma in information technology. This basis is my basic qualifications. I can apply ll.b course. Please asked me the questions. you can pursue LLB after your graduation. I am complete my 12th from Mumbai hindi vidyapeeth. This basis i can apply ll.b course. Please asked me thes question answer. sir,i m graduate(BCA)now i want to do law course,but there is many kinds of courses(7)like c.lawyer,civil lawyer.etc.but i want to know in which course i can get knowledge of both ?? Sir, I have completed BSc in 2005.now I am working in private company. But I had a interest to be a honest lawyer.unfortunately I could not do LLB course after graduation. But now I have interest so want suggestions whether it will be good now.my dob 2-9-1985.in future will I be success. yes you can pursue LLB, side by side without leaving your job. I am complete my 12th from Mumbai hindi vidyapeeth. This basis can I apply 5years ll.b course. Please asked me thes question answer. except company Secretary.. and which. And which diploma will be appropriate for me during this year? yes of courses you can. I interested in law can apply all.b after 12th passed 70% from Mumbai Hindi Vidyapeeth certificate. you may do law courses. sir, m persuing graduation 2nd year ? So, what i do in future course . I am pursuing ca articles &completed my bcom (comp)in regular mode.now I like to do llb in corporate law.plz suggest me details& through regular or distance mode it is much better.☺thanks in advance. you can do that from distance. It is Ok.
will this decision of mine be a waste of time or be fruitful to me in the long run as i aim to pursue law. presently im planning of doing my graduation. Can i pursue law after my bachelors degree? If so, then which one shall i opt for? is it LLB after graduation or LLM? I hav completed my 12th in year 2000 with 46%, I am working professional and now i want to pursue law B.A LLB through distance learning. Kindly help me out. yes you can pursue that through distance mode, there are many universities that are offering Law through distance mode. Is it possible to complete LLm within a year? i want to do LLM from distant learning. Please help me to know authentic universities for distant learning in Masters in Laws. i ‘m done with my 12th boards now I want to go with L.L.B . so is it possible to do llb after 12th directly? and there ll b any entrance exam for this? is law of faculty(Delhi university) is giving admission to under graduate students? Yes CLAT is one such exam, but its dates are already over. Now the dates for most of the exams are over. you can take admission in the private colleges or appear next year. now i wanna do llb .. so which will i give to get the government college…? yes, you can apply for AILET to appear in the exam. AILET is a all india law entrance exam, you can appear in that for admission into the government and private law colleges of your state. You can apply for CLAT next year to get admission in NLU’s and also there are many other universities which offer entrance examination for UG law courses. yes you can apply for law courses in some private universities in India. you can choose any law courses in which you’re interested. you can apply through correspondence law. can i do regular BCOM colleage along with this LLB 5 years course? yes you can pursue both. can i do bba along with llb 5 years course? I have completed my Bsc It degree and now I want to study law course by distance education…. Plz help…. Distance education is available in law field..? I have completed my Bsc IT degree and now I want to study law course by distance education… Please help…. Distance education is available for the law field? Can I do bmm degree nd den do law?? I have recently gave exam of 12 th….i want to do llb after 12 ..so can you please advice me…that how can i do this…?? form kaise apply kare ? I have completed my b.c.a. in 2008 and now doing job in public sector. My dob is 10/01/88. Now I want to do my post graduation law and want to become a criminal lawyer. Whati I do? Don’t wait just apply for the Law admission. It has a bright future. But you will have to go with LLB. except LLB you cannot do the PG in Law. Main abhi M A pol science kar rahi hun . kya me iske baad law ki padhai kar sakti hun. I also want to go in law field..
but i am very confuse…plz tell me is it easy?? hey, ill be appearing for the clat 2015. I have got a confusion regarding filling up the application form.As a scanned copy of the proof of date of birth, can i use my adhar card in the place of the birth certificate? you can show your class 10th certificate/marksheet in which your D.O.B is printed. But that wont lead to the cancellation of my form right? hi mohit, jst wana to know, doing llb, what is the required qualification. i did my graduation in 1991 from DU with 3rd Division, can percentage and age is factor to get an admission, if not, i wish to get an admission in LLB, pls tell if there is any affiliated university in india by which i can do my LLB. i m in job so cant attend in day time course pls keep in mind this also. thanx. yes you can pursue LLB from any private university. I have done my BA in arts 2010,I want to take admission in law course near punjab, Haryana, Chandigarh, N Dehli. Is there any requirements of entrance exams or any type of exams before going for B.Com-L.L.B ??? After completing B.Com-L.L.B how many years are there for doing L.L.M??? Is it compulsory to do M.com for before choosing L.L.M? If you wish to get the admission in law universities then you must appear the CLAT examination, if you are doing the LLB from any other university then you must go according to that university norms. LLM is a two year programme and no require to do the M.Com before LLM. U can use ur matriculation certificate for dob. Aadhar card may or may not be of great use but matriculation is considered as authentic. I am a law graduate and also pursuing my masters in law. But m willing to do specialization course in international business which is also known as crash course at some places . such course duration is not more then 3months and they provide you with the certificate of such specialization. Can anyone help me with such information which mite help me !! Icompleted my bachelor degree iam intrested in law field what i have to do know? 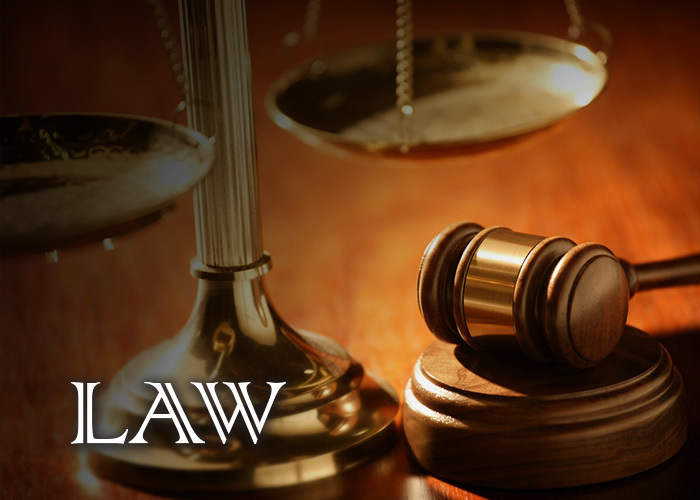 There are various universities offering law courses.You can pursue law from them. I’m a 2nd pu science[PCMC] student & i want continue my studies in law. wat to do frnds? You can apply for CLAT exam. Please Tell me fast. can i do law in hindi and what is benefits of this. hi i’m a graduate student of science..
and i want to make my post graduation in law..
law is always possible after graduation in any stream. You have to appear for the law entrance exam & get best college of law. Best universities are 14 national law universities. To get the admission in NLUs you need to appear the CLAT examination which is online these days. Beside this you can select any other university at your location which offers the Law courses and appear the entrance examination conducted by the same (if any). I would like to know that too. I have done b.com from d.u correspondence n m doin cs as well. how cn I pursue llb? is there any entrance exams for llb after graduation? u r studying in law no??? how can I pursue llb after graduation? apply for CLAT or AILET or other universities examination for LLB. I’m in 11th currently and am thinking of doing law after 12th. But I read somewhere that to do llb one had to have an undergraduate degree first. So does that mean. I have to do b.sc or something before joining for llb? Sir,I am complete ITI ELECTRONIC TWO YEARS COURSE. In 2006. Now I am doing degree at ambedkar open university. In BA, I am eligible to do LLB, kindly reply me sir, I am living at Hyderabad. after completion of your degree you will be eligible to LLB. plase you me information in L.L.B. I COMPLETE B.A EXM….NOW I INTERESTED IN LAW….BUT I HAVE NO IDEA ABOUT LOW….SO PLEASE HELP ME.